This tapestry depicts the wooden horse in front of the gates of Troy in Homer’s Illiad. This tapestry is woven from a drawing made by my daughter when she was 4 years old. 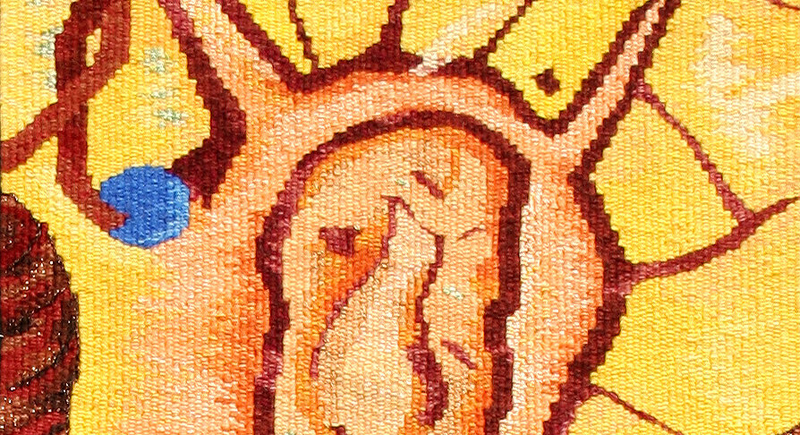 This tapestry was woven from one of my own collage-series “An imaginary journey around the world”. 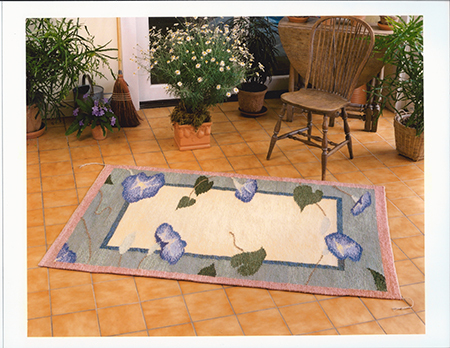 I wove the tapestry before I visited Greece and found quite the same scenery there. 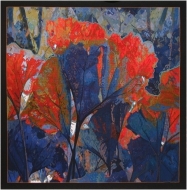 This tapestry was made from a collage using a newspaper photograph and a detail from a painting by J. A. Dominique Ingres. 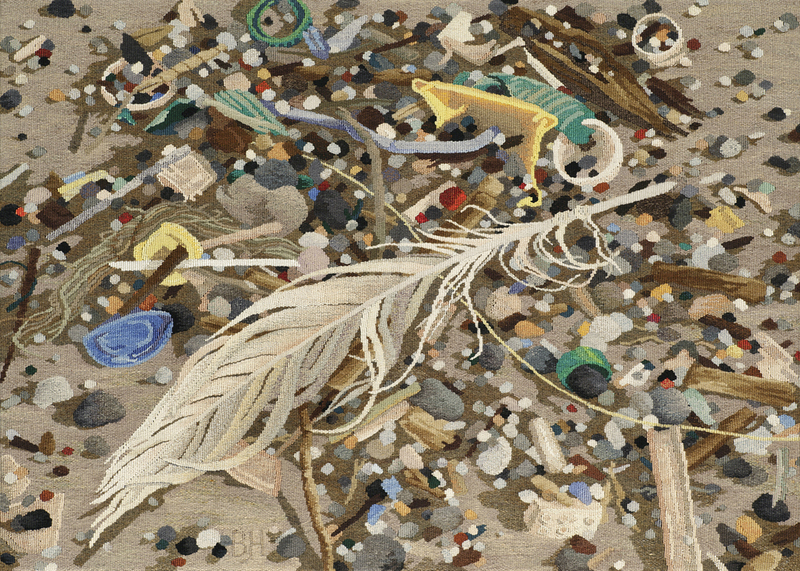 The design (collage and drawing) for this tapestry was made in Poland at a symposium in 1987. Lisi Jar is a place at Poland’s Baltic Sea coast. 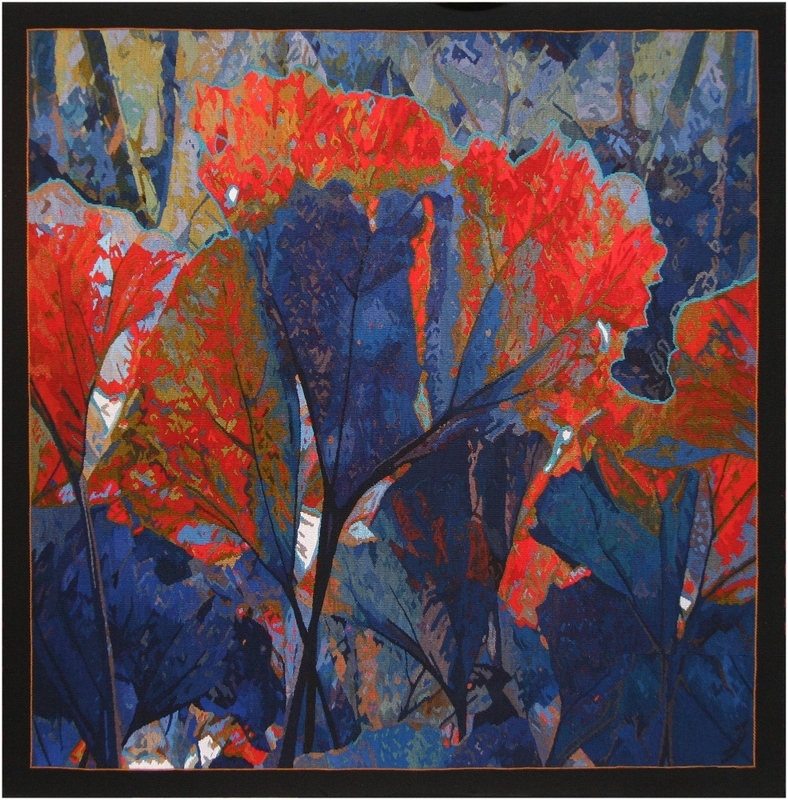 The design (painting) for this tapestry was made in Poland at a symposium in 1990. We were asked to include scenery from the surrounding area and to use the Polish national colours red and white. From the series “An imaginary journey around the world“. 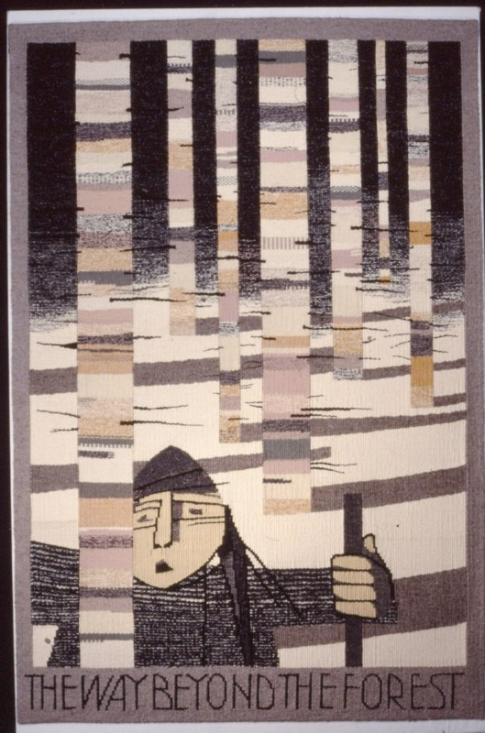 I made the design for this tapestry in Canada in 1985. It deals with one of my favourite subjects: Taking off the ground (into the air, later into the space). Based on a NASA photograph and collage. Based on a NASA photograph, own colouring. Based on a NASA internet photograph. Based on NASA photographs. An event lasting for 15 seconds, but woven over more than one year. Based on a NASA photograph. One of my most “romantic” tapestries. Based on a NASA photograph, own colouring. Consists of twenty single pieces, 45 x 40 cm each.